J's Clean & Green Team is a professional cleaning and plant care company based out of Auburn, California. We service Sacramento, Roseville, Rocklin, Granite Bay and surrounding areas. J’s Clean & Green Team offers weekly, bi-weekly, monthly and one time cleaning, as well as move-ins, move-outs and construction cleanups for your home or business. Whatever your deep cleaning needs may be, my Team and I will make it shine! We also do windows! 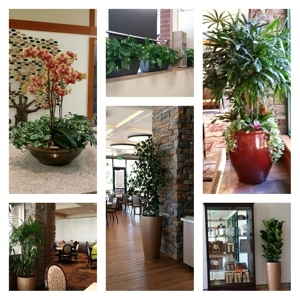 J’s Clean & Green Team offers a unique plant and installation, design and care service for your home, business, wedding, holiday party, events, all types of parties, corporate functions and more. Our specialties are here to enhance and maintain the beauty of your space. J’s Clean & Green Team has expertise in professional and reliable residential and business cleaning services throughout the Sacramento Valley with 20 years of experience and numerous referrals. We Do All Residential Windows! J's Clean & Green Team has expertise in professional and reliable residential and business cleaning services with 20 years of experience, and numerous excellent references. We serve all of Sacramento, Ca and surrounding areas including, Auburn, Ca, Granite Bay, Ca, El Dorado Hills, CA, Roseville, CA, Folsom, Ca, Colfax, Ca, and the surrounding areas. Contact us today and see how our professional cleaning and/or plant services can enhance your life or combine them both and save money. J’s Clean & Green Team is licensed and insured, and we look forward to making your life easier. Copyright © 2018 mybestcleaning.net All rights reserved.